Fox Swift and his ragtag team of Diggers are ready for another adventure-filled year of fun, footy and friendship. This year Fox and his family holiday in the Tiwi Islands, Miles Winter claims to have changed his evil ways and Fox’s younger brother Chase is made captain of the Davinal Under 11’s! All the favourite characters from the first two seasons return and the Diggers have a new recruit- a speedy half back flanker Muslim boy called Aslam Khan. 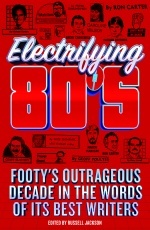 Once again the book is filled with Jo Gill’s hilarious drawings, Cyril’s footy drills and tips, and a quirky footy dictionary. Listen to a clip about Fox Swift and the Golden Boot that aired on 2GB. Listen to author David Lawrence discuss Fox Swift and the Golden Boot with the Sports FM team. Hear a clip of Cyril talking about Fox Swift and the Golden Boot on FiveAA with Rowey and Bicks. Read about a Fox Swift and the Golden Boot competition that was featured in this months AFL Record 4 Kids. 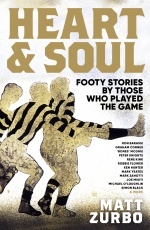 Read a review about Fox Swift and the Golden Boot that appeared in the Mt Barker Courier. 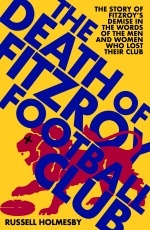 Read a review about Fox Swift and the Golden Boot that appeared in on The Kids Book Review. Hear the Rush Hour team discuss Fox Swift and the Golden Boot on air.